Tigerwood is a type of Brazilian hardwood we offer to our customers. The trendy wood option is dense and strong, and is offered in a variety of sizes for custom decking needs. Ipe is a type of Brazilian hardwood that is dense and strong. 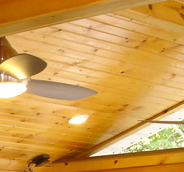 We offer a variety of sizes to allow flexibility in the design of an ipe deck. Cedar is a lightweight, naturally beautiful decking option that we have available in a variety of sizes and staining options to meet a multitude of decking needs. Treated pine is a cost-effective decking option that is readily available in the St. Louis area and accepts a wide variety of staining options. 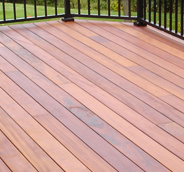 Aesthetic Design & Build is happy to provide our customers with the best oiling and staining connections in St. Louis for regular upkeep of their wood deck. 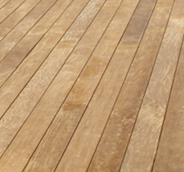 The life of wood decking can be nearly doubled with regular maintenance and staining. 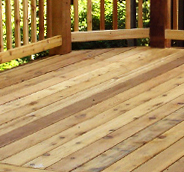 For more information on wood decking in St. Louis, contact us or call 636-532-5008 today!